A Lincolnshire PCSO has thanked the “wonderful” paramedics and first responders who gave him a second chance to be with his family after he suffered a cardiac arrest. 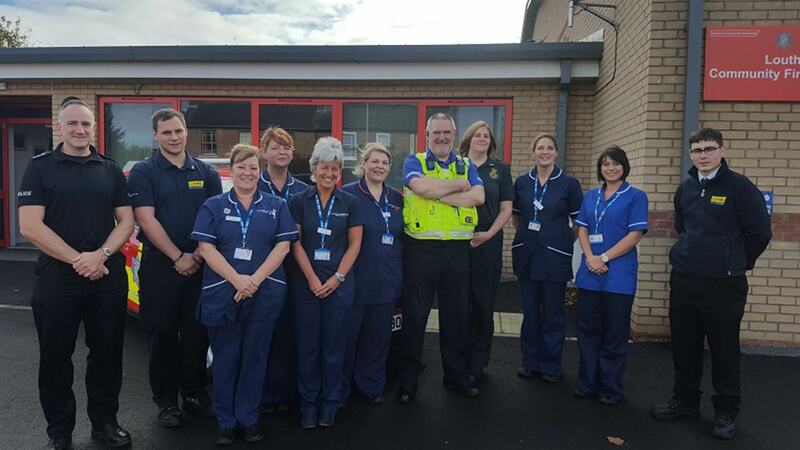 Ian Porter was reunited with paramedic Katie, LIVES responders Dan and Asa, and the Cardiac Rehabilitation Team from Lincolnshire Community Health Services at Louth Fire Station on Friday, October 20. The 63-year-old, who has been as a PCSO for four years in Louth, began having chest pains at his home in Manby on May 23 after he had returned from work. Qualified pilot Ian asked his partner Rita to ring NHS 111 and he went into cardiac arrest in the back of the ambulance. LIVES responders Dan Jaines and Asa Blackburn were first on scene, followed by paramedic John Cannon and ambulance crew Katie Best and Josh Oliver. With Josh driving, Katie started CPR and defibrillation on Ian and was able to save his life. Ian said: “Katie and Josh were truly wonderful and we will be forever beholden to them for giving me a second chance to be with my family. Katie said: “It has been great to meet Ian and to know he is doing well. Lincolnshire Talks: Should Harvey Weinstein be stripped of his CBE?